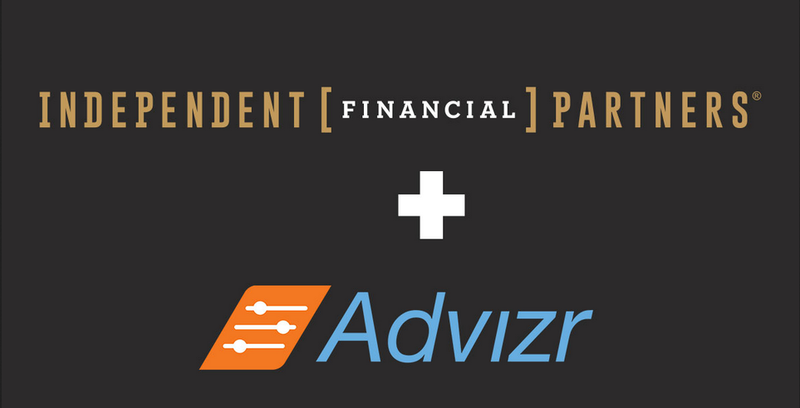 New York, NY, Nov. 5, 2018 – Independent Financial Partners (IFP), a multi-custodial RIA with ~500 advisors nationwide, specializing in wealth management and retirement plan consulting, has announced that it will partner with New York-based financial wellness technology company, Advizr, Inc., to provide its advisors with access to the robust financial wellness solution, Advizr WorkPlace. The partnership will provide IFP’s advisors access to a full suite of services designed to enhance the financial wellbeing of 401(k) plan participants. Advisors and their plan sponsors will have access to award-winning financial planning technology and a hub of deployable assets, including a financial wellness assessment to identify top priorities, an education resource center and personal finance campaigns to drive user engagement. 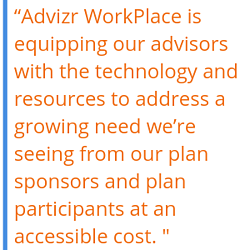 Advizr has made great strides in its debut year in the financial wellness space. Advizr WorkPlace launched little more than a year ago following the company’s partnership with Alight Solutions, a leader in technology-enabled health, wealth and human capital management solutions. Its integrated financial planning experience is available to Alight’s Fortune 500 clients. And just last month, Advizr won the top spot in the 401(k) Technology category at the 2018 WealthManagement.com Industry Awards.